Regular Moot Court Session mentored by Faculty Team and Top Mooters of National Law University. 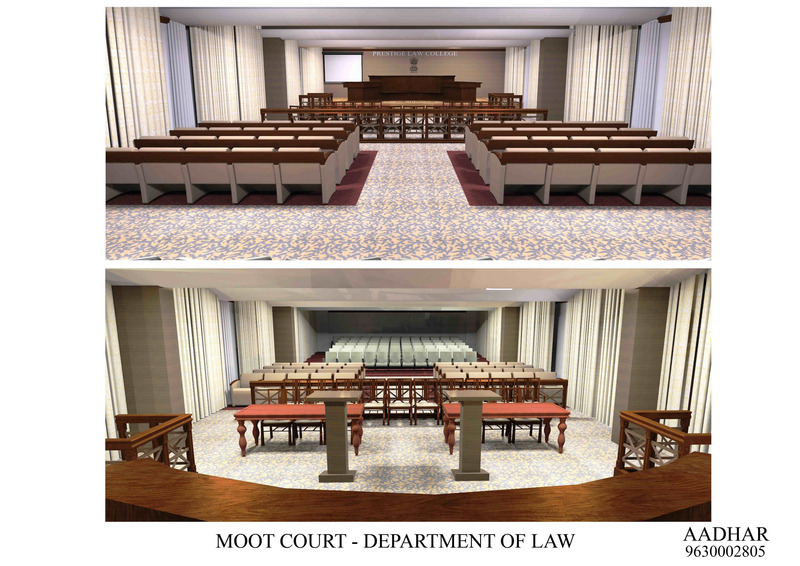 International Level Moot Court for budding lawyers. PIMR Department of Law will be training law students for extremely competitive fields of law. Department of Law will provide practical exposure to students through practical knowledge, along with theoretical knowledge, by organizing Supreme Court and High Courts visits. Students are going to be involved in lawyer’s chambers for practical training sessions. It also aims at providing legal aid through Legal Aid Cell and offer specialised interactive training for developing legal skills. 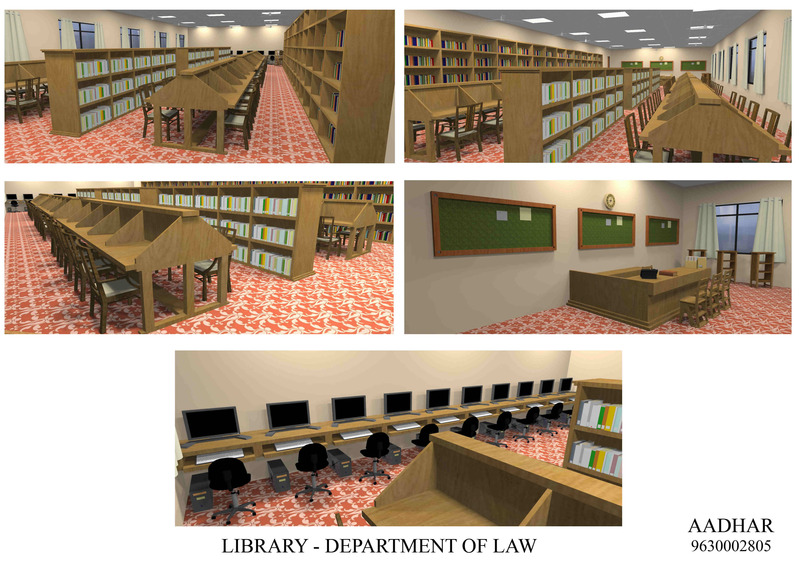 Department of Law aims at providing quality legal education to students. For developing legal knowledge & skills among students, below mentioned are the proposed Co curricular activities in coming sessions. Prestige Institute of Management and Research shall also be organizing National level Moot Court Competition every year. Exposure of students to Supreme Court and International Court of Justice dignitaries every year. Special assistance will be given to students for Internship and for Placement. Part-Sponsorship to United Nation/ International Court of Justice once in their academic session. Free I-Pad would be given to students of second semester. Scholarship would be given to meritorious students. Autonomous curriculum to match Global Standards. Timely examinations and declarations of results. Opportunity to study in International universities. Dynamic and experienced faculty team. Foreign language and unlimited access to legal search engine ( Lexis nexis / Manupatra / Westlaw / SSC Online / Hein Online / Jstor ). Add on certificate courses in various legal areas such as IPR, Cyber Laws, International Business Laws, Arbitration, Conciliation and Alternative Dispute Resolution to name a few. It aims at providing internship with the Eminent lawyers, Leading law Firms, Ngos, Government Organizations, leading Lpos, Clerkship under Supreme Court and High Court Judges. 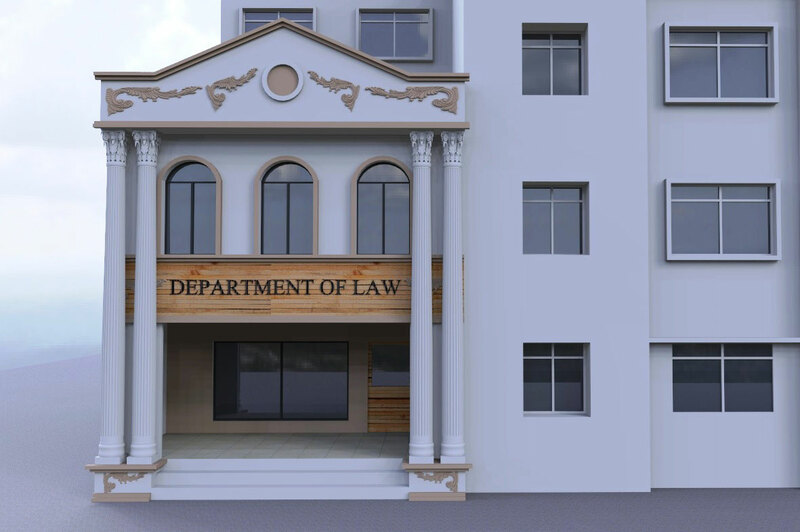 Department of Law endeavors to give a platform to Law graduates to practice in Court of Law, Judiciary, Academics and other areas of expertise. To develop legal acumen of students through legal aid training. It is committed to develop top class PIMR Department of Law, in India and be widely recognized as a leader in Legal Education. To be a leader in Professional Education, Research and Development. To provide quality education by innovating and continuously improving upon the disciplines of Law, Management, Humanity, and Computer applications through advanced of training, meaningful research and intimate relations with business, industry and other institutions in the country and abroad. Prestige Institute of Management and Research is a Premier Management Institute, in Madhya Pradesh, with sole object to provide quality and job oriented education. Prestige Institute of Management and Research is the only management institute in Central India rated as 'A' class management institute by National Board of Accreditation of the All India Council for Technical Education, New Delhi (NAAC). This institute is one of the top rated management B school in India with ISO 9001:2008 certified. Prestige Institute of Management and Research is one of the privileged Institute to be Conferred “Hall of Fame” Award by Dewang Mehta B-school in 17th B-School Affaire in 2009. SIAM University, Thailand and International Latin University for Student Exchange Programme. AISEC for providing Foreign Internship to the students. ASPIRE for enhancing personality and presentation skills of the students. The Institute offers consultancy service to industrial and business units through its faculty especially in the areas of production, finance, marketing and human resource management. The Institute is also a research center for Ph.D. students and 30 faculties of the Institute are Ph.D. degree holders. The Institute has a large pool of 100 competent and experienced faculties. Prestige Institute of Management and Research regularly organizes international conference, national seminars, workshops and extra mural sessions for student development. Recently, 9th International Conference was organized on “Quality Management Practices for Global Excellence” in January, 2015. The Institute is also associated with National and International bodies like ISTE, ISTD, NHRD, Speak-Macay, AISAC, Rotaract club and NGOs. The Institute is an autonomous body which has a record of over 90% placement record, with an average package of 6.5 lac. The Prestige Institute of Management and Research (PIMR) are now launching its Department of Law (DOL) for session 2015-2016. Department of Law endeavoring to provide to students the highest International standards in system of Legal Education. PIMR Department of Law, being autonomous body, has designed its own curriculum. Students would also have an opportunity to study at International University and pursue Certificate Course in IPR, Cyber Law and International Business Law.